EDITOR’S NOTE: This article has been updated to include additional information regarding Corrine Busta’s failure to comply with conditions of a DUI program and her full statement as submitted to The Coast News. Court documents related to this case are available in PDF format. 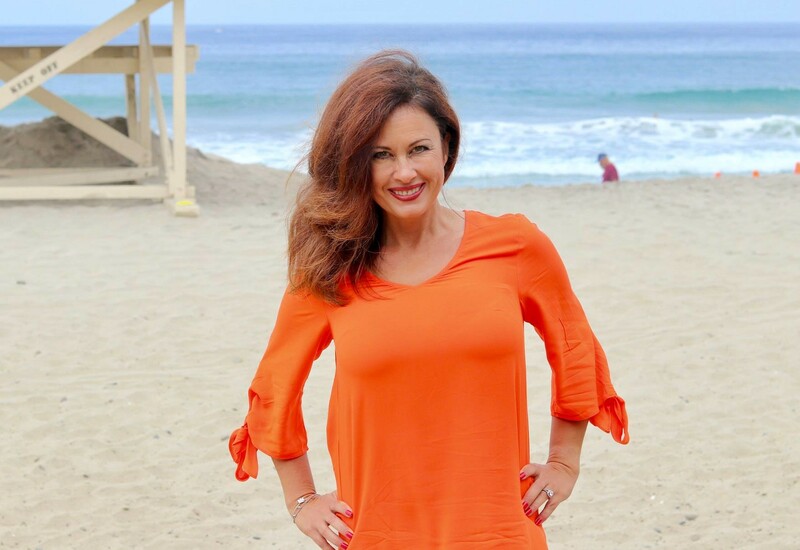 CARLSBAD — This week Carlsbad City Council candidate Corrine Busta issued a statement regarding a 2009 conviction for a misdemeanor driving under the influence arrest. She apologized for her actions saying she is embarrassed by the incident. Since then, Busta said, she has not had a drink. On January 6, 2010, Busta pled guilty to a single count of driving under the influence of alcohol after registering a 0.27 percent blood-alcohol level, more than three times the legal driving limit, and was ordered to complete a first-conviction DUI program. Busta was later referred back to court in July 2011 for a failure to comply with her program’s requirements. Three weeks later, Busta successfully completed her court-ordered program after more than 88 hours of unpaid volunteer service work answering phones, providing customer service and data entry at San Diego Christian Servicemen’s Center, according to court documents. Now, Busta’s campaign is heading down the final stretch as she takes on Priya Bhat-Patel for the open District 3 seat. Busta’s top priorities are public safety, careful development to ensure community character remains intact, protecting beaches and tax revenue along with supporting the business community. As for Bhat-Patel, her focus is on community, health and transparency of local government. She is gearing up for the stretch run, saying she is campaigning as an advocate for residents. Of course, development is one of the biggest subjects in the city and for voters. With the city close to build-out, each candidate said they want to provide an open discussion with residents on projects. Bhat-Patel said smart growth is key and said one development in District 3, Kensington at the Square, adjacent to Bressi Ranch, has some problems, citing infrastructure and traffic concerns. Busta, meanwhile, said housing projects must protect community character in every neighborhood. She said community involvement is critical in every new development and pledges to host town halls to engage residents and address any concerns. And though California law requires Carlsbad to build more housing, Busta said the city must comply, but do so in a way protecting the community. “Nearly 10 years ago, I was pulled over for driving under the influence. I am as embarrassed about it today as I was when it happened. However, I hope that it is not something that prevents me from serving our community. Where exactly does Corrine Busta apologize for her actions? When does she admit she was arrested? Where does she apologize for failing to show up for court ordered appearances? When did she apologize for being so drunk while driving that she could have killed someone? All she says is she hasn’t had a drink. That’s not an apology. How about the other issues with Busta? I think smart voters who care about Carlsbad will go with Priya who has spent her entire life in Carlsbad and has demonstrated her willingness to engage with citizens and only garners support from people who live here, NOT developers and outside interests. Reading her statement also makes me concerned about her basic math skills. She repeats that it’s nearly 10 years ago when that would be in 2020. 8 5/6 is not nearly 10. Let’s go with the PhD in health sciences, please. Also (as a wife and mother) I don’t see what being a wife and mother has to do with any of this. It doesn’t matter if the drunk driver who kills you is driving home from her 50th anniversary party and has 27 grandchildren or if it’s a single 16 year old boy . You are dead either way. Please don’t drink and drive. So let me get this straight. People who live in District 3 in Carlsbad have a choice between a relative newcomer who exercises poor judgment, is beholden to developers, and has been chosen to run solely on the basis of her connections with the established powers that be of the SD Lincoln Club and would vote for whatever Hall wants as opposed to a lifelong resident who just completed her PhD, takes the time to get to know her constituents, takes no money from developers, and is beholden to no one other than her own conscience. Gee, that’s a tough call. By the way, before people jump, I have no problem with her having the DUI. People make mistakes and can be forgiven. I have a problem with her not showing up for her hearing, not showing up for her program, and not being forthright about the entire thing until Carlsbad residents did their due diligence and uncovered this. Makes you wonder who is doing the due diligence over at the Lincoln Club, doesn’t it? I think we expect and deserve better from anyone who wants to serve as an elected official in Carlsbad. I have a problem with a DUI. Many people get arrested for driving drunk, which is illegal. The limit by law is 0.08 for adult drivers according to the DMV. Ms. Busta was driving at 0.27 which is THREE times the legal limit. She could have killed herself and/or innocent people. I really don’t care if people drink, but someone who makes a decision to get behind a wheel is essentially driving a weapon. Ms. Busta made a BAD decision to get behind the wheel when, according to the police report, was stumbling and almost unconscious. The second BAD decision was not appearing at a court ordered injunction. And finally the third BAD decision was to not inform the voters she is trying to represent. I do not see any remorse or apology in her statement except that she is embarrassed. There was a bench order issued by the court when she did not appear as ordered by the court. That is not taking responsibility for her actions. She avoided admitting these past BAD decisions to the voters of Carlsbad-until found out. And Ms. Busta wants to make decisions for District 3 and the rest of Carlsbad on our City Council? Lol @ the people here whining. Bet they’ve all had tons to drink in the last 10 years. Heck, they’re probably drunk on the keyboard right now if they think I’m going to vote for a 30 year old kid who lives with mommy and daddy and just graduated from school with no real world experience. She has a PhD. She doesn’t live with her parents. She’s married. Maybe you need to get out of your parents’ garage more and educate yourself before you vote. You’re not going to vote for Priya because of her age and ignoring her resume? Cool. That makes sense. Addie, so glad that you mentioned what the Coast News failed to report which is that Corrine Busta NEVER disclosed her .27 DUI until it was brought to light by Carlsbad citizens who regularly look into the background of candidates of all parties. She had no choice. And even then she made a few statements before she actually mentioned that she did not show up for the court mandated DUI program (also showing poor judgment even during the time frame when she reportedly was no longer drinking). I cannot vote in this election, and I would not have voted for Corrine anyway. Reading endless comments by the same three or four (anonymous ) people on these political articles, makes me feel sympathy for their targets. How long will it take for these same people to attack me because I’m saying something that is not cruel enough for their tastes? The Coast News needs to find a commenting system that forces people to post under their real names and one that limits the number of times somebody can post on the same article. The point has been made about Corinne Busta and the facts speak for themselves. We do not need to see this horse beaten multiple times to get what the article says. A sincere question: How is it cruel to state facts that are proven and verified and identified by source? I have NO sympathy for her at all. You must be a much more tolerant person. Would you extend your sympathies to candidates who are being smeared with lies rather than the truth? Just wondering. We really miss having a genuine investigative journalist like Richard Riehl in Carlsbad. However, the lessons were learned so now we have many people looking into things, important things, and hopefully getting the word out. People deserve to have all the information necessary in order to make informed decisions. It’s the foundation of our democracy. If she is really into public safety, then she ought to surrender her driver’s license. I know I’d feel a whole lot safer knowing she’s not on the road. (And cameras won’t solve that problem, Matt. They might make it easier to track her down AFTER she hurts someone). Concerned…you are wrong. I’m sober and so are all the people who support Priya. Our issue is not with her drinking (though she may have a drinking problem). It’s with her actions AFTER she was caught. Merrie, The First Amendment. If reading these comments bothers you, try reading the Constitution. And my name is Addie. What about Concerned and Rocks and those other anonymous defenders of the indefensible? No problem with them, right? My name is Lowell. I live in Carlsbad, District 4. I can’t vote for the District 3 race but even without the prior DUI, I still wouldn’t want this person representing us for many reasons. Priya is a better candidate by far and will make a better councilmember. @Addie– My comment was about what you and 2-3 others write and how reading the same things over and over again gets old. It’s redundant and borders on the obsessive. Don’t you get it? We are all smart people and do not have to be told the same things ten times. I’m not voting for the mayor either, but there is always a boomerang effect to consider in these forums. Just saying. Please do not get angry with me again. Dr. Priya Bhat-Patel actually has an impressive resume from while she was attending UCSD, USD and Loma Linda Univ for her PhD. Try Google or attend one of her Meet & Greets. Ms. Busta’s court docs are now posted and I counted 9 times that she failed to show for court ordered appearances. Take the time to read the docs then you won’t need to count on what I posted. And if she has quit drinking (even though the math doesn’t add up) I still commend her for giving up drinking. Lastly, I no longer post my name due to the bulling that I am put through in the community for being part of a good investigative team when we cannot rely on journalists. Sorry Merrie but it’s frustrating when the other side has the support of thousand upon thousands of dollars coming from developers. Don’t believe me? Try searching for “North County Neighborhoods Coalition” which is just a front for more developers like Shopoff who want to build the huge thing on Ponto (our local beach). Why are they giving almost $14000 to Busta? I just get so frustrated and upset so I guess my posts are venting. Better than sending pipe bombs in the mail though. I appreciate your position but I also don’t see why it’s such a big deal. Everything I post is based on facts whereas very little of what comes from the other side is factual. This has to end. The money has to be removed from the process. We need to take back control of how our elections are handled. It starts with us. And finally I’m not angry with you. Just confused as to why you are so concerned about these comments which so few people ever read as opposed to the glossy mailers, etc that are impossible to avoid. If Phil Diehl and Steve Puterski would dig a little deeper, then other people wouldn’t need to do their jobs for them. There’s way more to this story than just her DUI. I swear this will be my final post on this thread. Just discovered that same group called “North County Neighborhoods Coalition” hired a group called InField Strategies based out of Imperial Beach. Guess what they do? They pay people to walk around and do canvassing/door hangers for political candidates nationally. They did this for Busta. Now you might ask, what’s the problem with that? Here it is…she can’t generate enough local support to get volunteers to walk for her so they have to hire people to do it. Priya’s campaign was 100% volunteer and local, truly grassroots. So there’s your choice again. Support someone who is not a local, knows nothing about our town, is backed by developers and outside money and is only running because she was picked by the local Republican establishment to do their bidding or pick someone who will make a great city councilmember and will represent US. Some of my comments have not been approved so I hope this one makes it through. Steve, I’d appreciate it if you would print this in full. Thanks. Priya Bhat-Patel is an incredibly talented, energetic, educated and well spoken lady who is a local treasure. She seems like someone who is candid and a great listener. She answers questions with poise and accurate facts/statistics. I was impressed by how much she knows about the development plan, traffic, mental health, homelessness, and many other topics. She doesn’t need to act to show that Carlsbad makes up her heart and blood. I hope like every mother, Ms. Busta cares a lot about the safety of her family and has learned from her mistake. That being said, Busta comes across as someone who doesn’t know much. Her responses seemed rehearsed and even then, were shallow and did not demonstrate a prudent understanding of our community’s needs. She’s listed as a community receptionist but claims to be a policy adviser. She has not yet named a single piece of legislation she has successfully advised on. This troubles me. She acknowledged in person that she is not a business owner and has never been, yet campaign mailers and her ballot statement suggest otherwise. She says she has not had alcohol for nearly 10 years but she had a fundraiser at a bar last week. I’m not making accusations, I’m just pointing out inconsistencies and as a District 3 voter, feel like I deserve an explanation given Busta’s promise of transparency. Why did the Carlsbad Police endorse Corrine Busta? Can anyone explain the reasoning behind this endorsement? I do not know that much about the 2 candidates yet it appears Busta has issues with judgement especially considering that she failed to show for court ordered appearances 9 times. Police endorsed before they knew about the DUI and sent out an embarrassing mailer claiming she is the right choice for public safety. Haha! I am amazed they are waiting so long to rescind the endorsement. My take is that Keith Blackburn being a past police guy has a big influence on the police and he has been vocally in support of Carlsbad Mayor Matt Hall (Hall is endorsing Busta; financial disclosures show identical sources of money from BIG developers). It’s one big ol’ conflicts of interests party. Call the Carlsbad Police Officers Association and ask them yourselves: (760) 683-8765. I tried and didn’t get a call back. What a shame that our police are endorsing a person with a DUI and failure to appear in court. This is the example they want our Carlsbad children to follow. Priya Bhat-Patel is an incredibly talented, energetic, educated and well-spoken lady who is a local treasure. She seems like someone who is candid and a great listener. She answers questions with poise and accurate facts and statistics. I was impressed by how much she knows about the development plan, traffic, mental health, homelessness, and many other topics. She doesn’t need to act to show that Carlsbad makes up her heart and blood. I hope like every mother, Ms. Busta cares a lot about the safety of her family and has learned from her mistake. That being said, Busta comes across as someone who doesn’t know much. Her responses seem rehearsed and even then, are shallow and do not demonstrate a prudent understanding of our community’s needs. She’s listed as a community receptionist (Source: http://www.supervisorkristingaspar.com/content/d3/home/about/staff.html) but claims to be a policy adviser. She has not yet named a single piece of legislation she has successfully advised on. This troubles me. She acknowledged in person that she is not a business owner and has never been, yet campaign mailers and her ballot statement suggest otherwise. She says she has not had alcohol for nearly 10 years but she had a fundraiser at a bar last week. I’m not making accusations, I’m just pointing out inconsistencies. As a District 3 voters, we deserve explanations from candidate Busta, especially after her promises of transparency. The Cori Hit Squad is at it again. It is shameful how Cori’s supporters go about attacking and treating people. Addie and gang, do you ever go back and read what you have posted? Would your spouses, parents, kids or grandkids be proud of what you say about people? Go ahead, share your posts with them. The concern with Cori and her supporters has been how they bring nasty and mean politics to Carlsbad. That was something that Carlsbad has been able to avoid (except during the Legoland debate, which seems to have worked out great once it was built), but Cori’s Hit Squad promote nastiness. Causing divisiveness among the residents. ??? Not on anybody’s “squad”, hit or otherwise. Completely comfortable sharing with my entire extended family, friends, and the world at large that a PhD is better than a DUI. Nothing nasty, shameful,divisive,attacking or mean about that .Just got some very strange looks from family members for even asking! Please don’t drink and drive. I commend Addie for stating facts and dutifully digging up things that investigative journalists are not reporting. If I were part of her family, I’d be proud of her! Call her rude, but I like her sass! @carlsbadrocks I understand your concern but why are you pulling Cori into this? What are your thoughts about this article? Thanks. Looking forward to the two new council members (whoever they might be) doing what the past council members did not do, make progress on the Ponto project. Creating something that is for everyone, parks, trails, shops, dining, market hall. Look at the proposed project, it looks nice. I agree with others that it needs to be a smaller project and include park space. 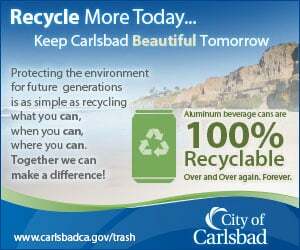 Have the new council members get the project moving so all Carlsbad residents can use it. It’s just not benefiting anyone how it is now. FACTS speak for themselves. Evidently CR doesn’t like facts. That speaks for itself as well. Voters need to make informed decisions based on relevant information. I think all Carlsbad should know about the dark money that is so clearly being directed toward Hall and Busta and is also being used to attack Cori. Who exactly is North County Neighborhoods Coalition? It sure as heck ain’t people who live here. The only attacking going on during this election cycle is that conducted by Larry and his gang of self-professed old farts (HIS words, note please) who are doing everything they can to tear down Cori and anyone associated with her including making up accusations and spurious claims while providing zero evidence. Sad coming from a former attorney. Maybe he went to the same law school as Michael Cohen. Again, CR, kindly reference a single fact stated in any of the above posts made by anyone at all that is untrue. We dare you. I’m pretty tired of some people trying to portray Busta as being a victim somehow. The only victim here is the people of Carlsbad who are being hoodwinked into believing that some nobody who happens to work for Kristin Gaspar cares about us. Something smells when outside Unions are financing Cori’s campaign. What is this money about? Nice try deflecting Larry. Unions are not expecting projects that are currently in the works in Carlsbad to be voted on in a certain way. Also just look at the amounts. 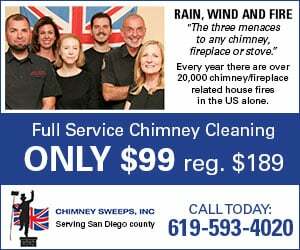 Nearly all of Cori’s support comes from local Carlsbad folks. Absolutely peanuts in comparison to what Hall rakes in. And speaking of transparency, how did YOU find this so easily? Maybe because it’s transparently available on the city’s website. What’s much harder to uncover is the dark money/independent expenditures that are hidden and contain money that seems to be coming from some nice-sounding committee calling itself “North County Neighborhoods Coalition” but is really money coming from developers who want votes on their projects (like Shopoff who wants to build on Ponto). So thanks for playing but your lame attempt to paint Cori with the brush that is more appropriately used to smear Hall and Busta is a giant fail. It’s called projection or false equivalence. Take your pick. And stop hiding behind some stupid name already. We know who you are. And let’s not forget the money he took from Shopoff and Caruso. I believe Evan Gerber also donated but I got tired of looking through all the thousands of donations he’s taken from real estate people over the last several years. Oh, and how about the fact that nearly every single planning commissioner both past and present donate to Hall. I wonder why that is? So if you want to play a game of FACTS, then let’s do that. The FACTS speak volumes about where Hall’s money comes from and it doesn’t take a rocket science to figure out WHY they are giving money to Hall. Quid pro quo. They’re not doing it because he’s such a nice guy. While we’re at it, what about the other mysterious donations? I mean why is the Mayor of SJC giving money to Hall? And Ernie Dronenburg? Come on. You can make bogus claims and invent all kinds of red herring conspiracy theories about Cori to your heart’s content, but in Hall’s case, it’s no secret what’s going on and has been going on for far too long. It’s just that Measure A made everyone pay attention and some people don’t like that. Tough. And isn’t this thread about Busta anyway? so why attack Cori? Oh, right, I forgot, it’s because that has become your raison d’etre. Who is this? Are you with Mayor Matt Hall’s re-election campaign? Can we get back to the subject of this article? By the way, hatred/anger/vitriol/cruelty…No. What we are seeing on the part of supporters of Cori is righteous indignation and moral outrage. It’s a desire to see fairness and justice and transparency replace cronyism and good ole boy politics and backroom deals. Priya pledged not to accept any campaign donations from “developers, hoteliers, or energy companies”. Did Busta make a similar pledge? Or any pledge at all? And then certain people attack Priya for taking money from outside interests only to be proven wrong. It’s so easy to make false accusations and, like a certain politician who loves to do this, keep making them even without any evidence. The burden is on the accuser to show proof. Right on cue. Just posted on sdvote.com. Shopoff gave even more money to send out mailers supporting Hall and Busta. Shopoff is the outfit behind the proposed Ponto Development. I’d say that’s quite a bit different from taking money from a union. Clearly they expect their candidates to support their project otherwise why in the world would they be doing this? 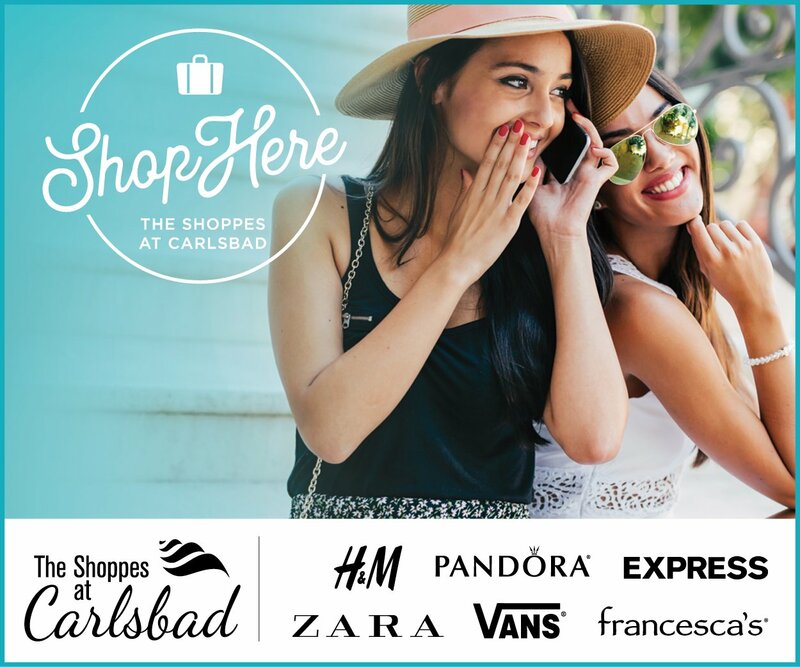 Shopoff is based in Irvine. Why are they involved in Carlsbad local elections? North County Neighborhoods Coalition has spent over $32,000 on Busta and over $16,000 on Hall cumulatively to date this year. FACTS. Hi Addie, I am bringing back Addie into the discussion because Addie is deceitful. Addie is the same person as: Lowell, Moderate Voter, Commish, and other names. It looks like Addie is also: Auntie EM, Arnie, Joan, and others (but not sure, yet). “Addie” why are you so dishonest? Why all the name calling. You call people liars, yet that is you. You even disparage entire groups of people. These are your words last week “Christian Rotary people engaging in the lowest, vilest form of lying and character assassination you’d ever want to see.” Yet, this is what you are doing. Time to look in the mirror. Addie’s name calling, and deceitful approach is how Cori’s supporters’ run Cori’s campaign. Carlsbad does not need that. Hey hey @Carlsbad Rocks, let’s put on the brakes a little bit with the accusations and take a deep breath my friend. Let’s let the honest and smart people of Carlsbad decide who to put into office (and also assess if your accusations about Addie hold water). Can’t wait for the Cori train to crash into the rocks… Not qualified to be elected dog catcher. Hopefully her left wing supporters will pipe down and go back to mowing my lawn. She was elected to City Council. Lorraine Wood, whom she defeated, has endorsed her enthusiastically. I support her and I’m a Republican., Have been my whole life. I don’t cut lawns. I’m a retired attorney. Can’t wait to see Hall retire and Cori become our next mayor. Maybe then the people who keep attacking her can find something better to do with themselves. They’ll realize eventually (I hope) that she will work hard to represent the interests of ALL of Carlsbad citizens. And the article is about Corrine Busta, by the way, who is supported by the same monied interests and PACs that support Hall. Dr. Priya Bhat-Patel for Carlsbad D3 City Council. Attended Aviara Oaks Elem & Middle School, Carlsbad H.S., UCSD, USC and Loma Linda University. You can find her lengthy resume online on LinkedIn.